March 2017: new TV edit of 57'30'' now online! 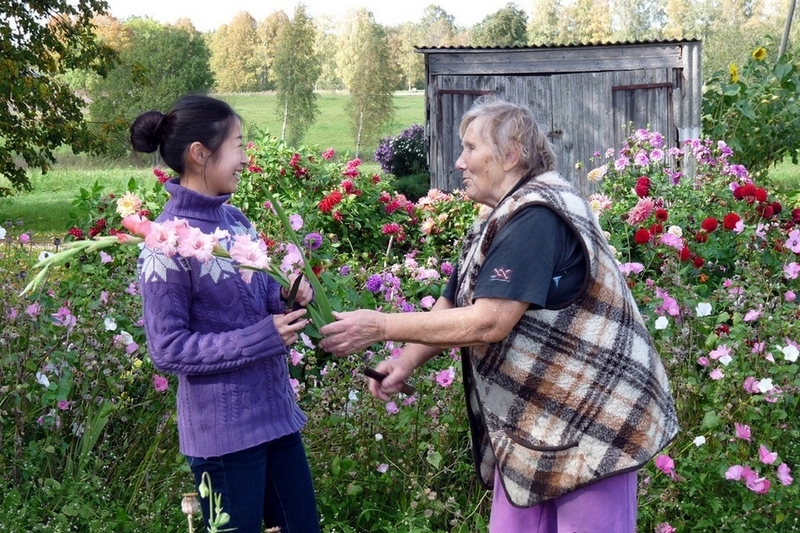 Norie, a young Japanese student, came to Latvia to study the country’s Suiti culture *) – a small Catholic community in the western part of the country, surrounded by Lutheran provinces. 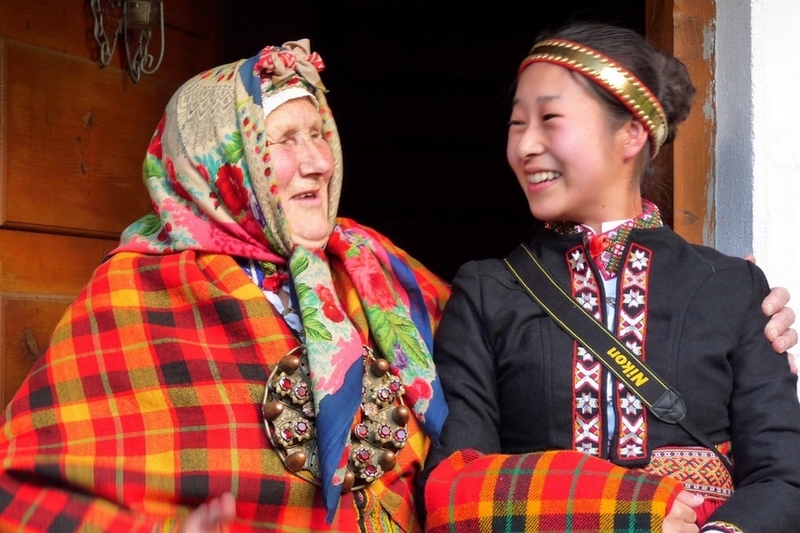 Norie had been staying with 82-year-old Ruch, an authentic Suiti woman who reminded her very much of her own grandmother. What began as a purely academic project turned into a rare and profound human bonding between a young girl from the Land of the Rising Sun and an old lady from an almost extinct community. The film "Ručs un Norie" is proof that there are no language, age or culture barriers to a genuine human relationship filled with humour and love. *) In 2009, Latvia's Suiti cultural space has been included in the UNESCO List of Intangible Cultural Heritage in Need of Urgent Safeguarding.